As the spring starts coming to a close and we enter into summer’s hot beating rays, beach days and sporadic rainy weather, we look forward to barbeques, long hours of daylight and resting by the pool. With the summer comes fun and excitement, but what social media doesn’t always show is the stress and lack of sleep summer also brings. From long days working, waking up early after a long night out at the bonfire, or looming deadlines when you really want to go to the beach, you may be in some serious need of some TLC. While of course we can say come on into the spa and enjoy a relaxing massage and facial, we also know that stress relief goes beyond booking one appointment. And that’s why we’re going to share with you some of our favorite recipes for a stress relieving, but still energizing essential oil blend so you can get your work done and enjoy the summer day while keeping calm in the process. Before exploring these fun, yet relaxing recipes using lavender, spearmint and clary sage, it may be nice to understand why these essential oils pair well together and how combining certain scents creates a powerful, therapeutic effect. Aromatic Notes – Essential oils can have three different notes – top notes, middle notes or low notes. These essentially mean how strong or subtle a scent is and how long the fragrance will last in the air. Top notes are the strongest, most noticeable scents, but last the shortest in the air. Middle notes are more subtle than top notes and linger a bit longer. And low notes are a very subtle scent that lingers for a long time. Combining strong lavender and spearmint with grounding clary sage, creates a balanced aroma that will help sustain your relaxation and energy. Scent Categories – As you may know from purchasing perfumes, body washes, shampoos and other scented products, there are different types of scents. Some products will smell like flowers, others like herbs, and others like the woods. This concept is the same when it comes to essential oils. The uplifting scent of flowers that lavender provides combined with the fresh herbal scents of spearmint and clary sage, aid in mood improvement. Type of Effects – If each of these essential oils stood alone though, what are their impacts on the mind, body and spirit? And what happens when they are combined? With lavender’s stress reducing qualities and spearmint and clary sage’s energizing properties, you are able to have the energy to be productive or enjoy a fun summer day, while preventing stress from arising. I recommend using this body oil to moisturize and relax before bed or after a nice relaxing shower. Just keep in mind that spearmint may not be the best for skin sensitivities so don’t use over any patches of sensitive or damaged skin. This mist can be used as a room freshener to help bring calm and energizing vibes to your work or home space, or it can also be used as a natural perfume! If you’re in need of some inspiration, fill your bathtub with relaxing warm/hot water and 2-5 tbsp of the mixture! Grab a cup of tea or a glass of wine, your favorite book, and sit back and relax! Do not store essential oil products in plastic. Essential oils can degrade the plastic over time and it can leach into the product. Do not ingest your essential oils. While they can be used in body products and can be diffused into the air, they are not safe to eat. Be mindful of pets, young children and if you are pregnant. If you have any serious health condition, please consult with your doctor before you use these oils. Be aware of where you’re getting your essential oils from. Not all essential oil products are pure essential oil and may contain additives. For high quality essential oil diffusers and essential oils, check out our retail section at the spa! We use a variety of beautiful essential oils and blends in our treatments as well and diffuse relaxing lavender you’ll love the moment you walk through our doors. 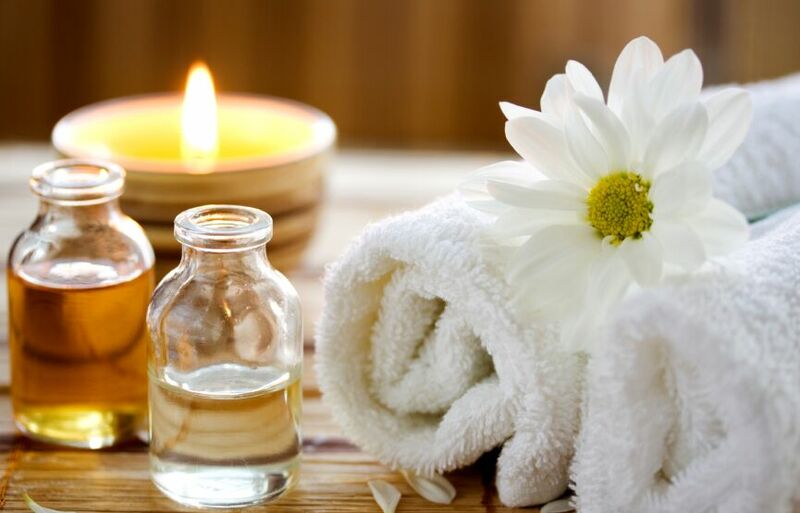 Contact us at Balance Spa today at 561-208-8111 to book your appointment and see why we love essential oils so much!